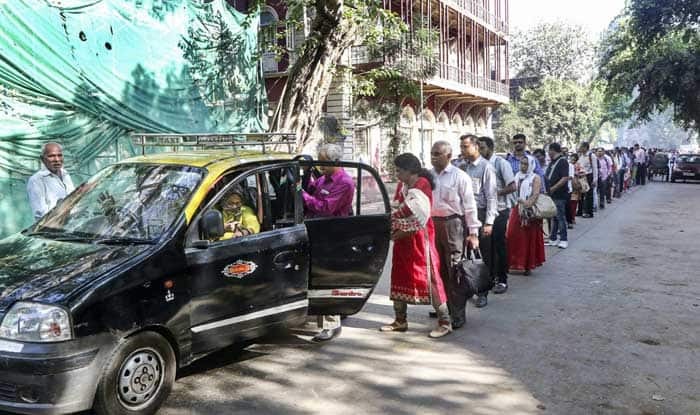 Mumbai: Over 32,000 employees of Mumbai’s civic transport undertaking went on an indefinite strike on Tuesday over various demands, including higher salaries. The protest by the employees of the Brihanmumbai Electricity Supply and Transport (BEST) coincided with the two-day nationwide strike called by trade unions to protest the government’s alleged anti-worker policies and unilateral labour reforms. The indefinite strike by the BES and BEST employees prompted the state government to invoke the Maharashtra Essential Services Maintenance Act (MESMA) against them. The strike left nearly 25 lakh daily commuters suffering, with some of them complaining that autorickshaw drivers were trying to take advantage of the situation and were charging five times more than the normal rates. The employees are demanding higher salaries, merging budget of the loss-making transport undertaking with that of the Brihanmumbai Municipal Corporation (BMC), deliberations on new wage agreement, resuming appointments on compassionate grounds and a bonus equivalent to that of the civic body’s employees. A meeting was held between Brihanmumbai Municipal Commissioner Ajoy Mehta and leaders of the workers’ union that has called the strike but failed to arrive at a conclusion. BEST workers’ union leader Shashank Rao said since their meeting with Mehta failed to yield any positive outcome, they were continuing with the strike. He said a final decision to end the strike depended on how the administration responds to their demands. In October last year, the BJP government in Maharashtra had given Rs 5,500 to each employee of BEST as Diwali bonus. The move that left the discontent BEST employees elated, had cost Rs 25 crore to the state government.